Melanie Hughes was brought up in Harrow and trained at the Central School of Speech and Drama. She went on to act in theatre, television and films. 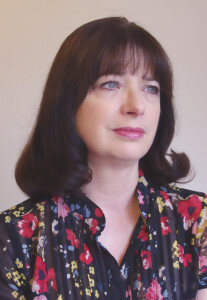 She began writing for Ken Russell in the television series “Lady Chatterley” and then worked on further projects for him, the BBC, London Films, and Union Pictures. Her first published book was Mrs Fisher’s Tulip. Melanie loves art, theatre, films, reading and the sea. 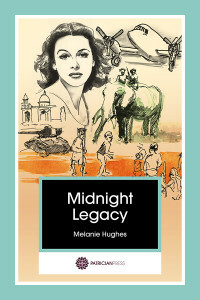 “From an impoverished childhood in London to the opulence of Lahore and Delhi at the height of the Raj, journey with Nita through a world at war, political unrest and her life, loves and losses. THE BOOKS ARE BEING LAUNCHED AT THE INDIA CLUB, 143 THE STRAND, LONDON WC2R 1JA ON WEDNESDAY 1 NOVEMBER 2017 AT 7.00PM. This is Nita’s Story. Born during the First World War, she is illegitimate. When her mother marries, she doesn’t get on with her stepfather. At grammar school she meets Yolanda who introduces her to the vibrant Italian community. 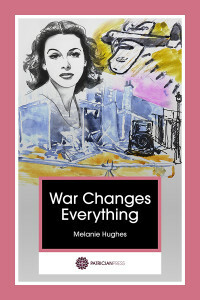 The two young women become involved in the left-wing intellectual life of London in the 1930s. She meets Rikh, an activist in the India League. When war is declared, Rikh is seconded to bomber command and they marry in haste. Nita’s story continues. She and Rikh arrive in Madras. Rikh’s squadron is based in Ambala, one of India’s oldest military bases and head of operations for the Combined Allied Forces. Rikh takes part in bombing raids on Burma. Bored and miserable, Nita has an affair with a young pilot. She leaves Rikh and goes to Lahore, ‘the Paris of the East.’ She discovers she is pregnant when the Second World War ends and communal violence is building up all over India.